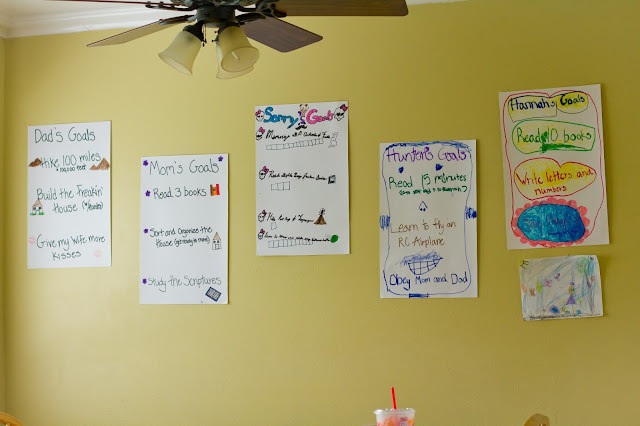 This was the first week of Summer freedom, at least that is what it felt like to me, technically the kids have been out of school for almost three weeks, but I have spent the majority of that time jumping through hoops trying to get our lot in place. 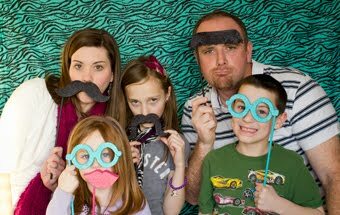 We don't have many plans for the summer, we are trying to save as much money as possible so we are keeping everything pretty simple. Trips to the library, different splash pads, trying out some new treat recipes, a few craft projects, and maybe a couple trips to the pool. 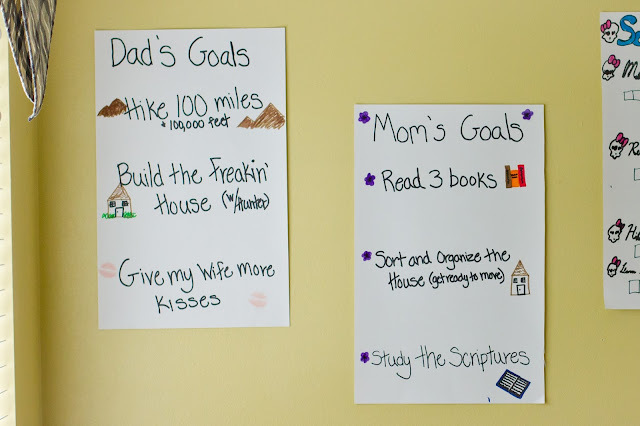 One thing I wanted to do was have the kids make summer goals we could work on when kids were "bored". 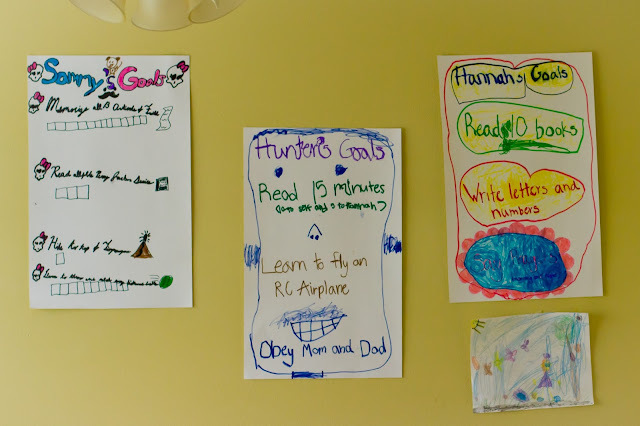 We all picked out three goals, wrote them on posters, and then decorated the posters for Family Home Evening. Samantha couldn't narrow it down to just three so she ended up with four, love my little over achiever. 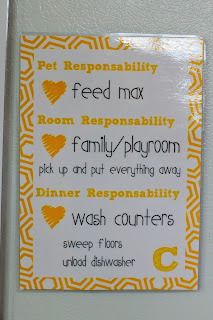 I also knew we needed an update on our chore system so our house would not look like a war zone all Summer. Dirty House = VERY Cranky Mom. I am pretty sure nice printer and laminator jumped to the top of my wish list that day. 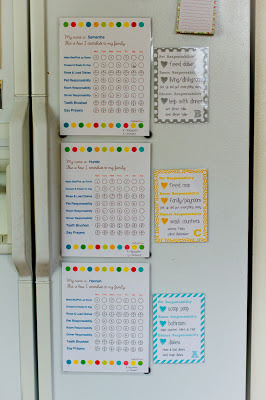 I wrote in a few extra things to help them remember that on Monday, Wednesday, and Friday they need to vacuum their room and also take a shower. Dishes need to be rinsed and loaded after breakfast and lunch, and a reminder that teeth need to be brushed, and prayers said in the morning and at night. 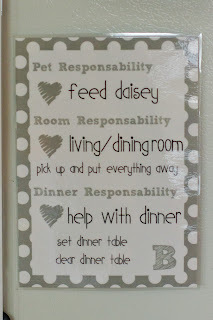 Everyday the kids also have a "Pet Responsibility", "Room Responsibility", and "Dinner Responsibility". 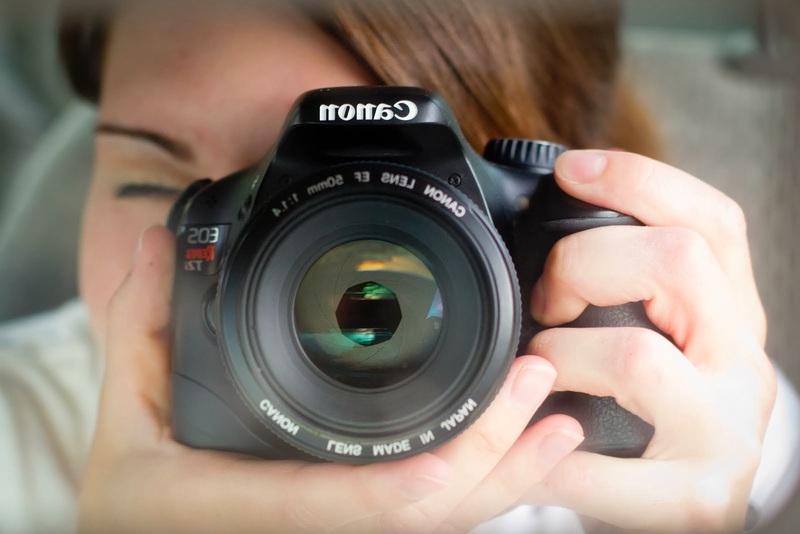 ** Each day it changes so that is where the "A", "B" and "C" come in. Let me just tell you now, A is everyone's least favorite day. 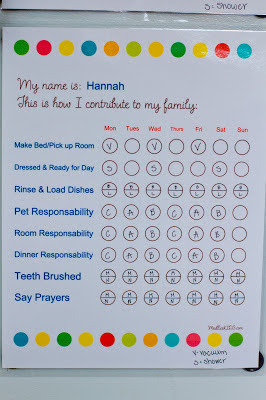 Everything has magnets on the back so it can be moved around and so far so good, unless you count Hannah trying to claim on her "A" day that she doesn't know what it says. Now I just need to find a way to regulate screen time and we will be golden. 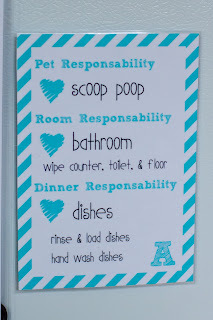 *I don't remember where I downloaded the chore chart I used from, but I pinned this one and it is similiar. **I am a horrible speller, and without spell check things get spelled very wrong, and for the life of me I thought this was spelled correctly. Too late to fix it now.